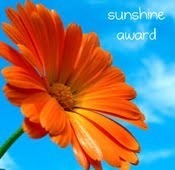 Thank you for nominating me for the Sunshine Award, I am in Costa Rica and enjoying life. I am honoured to be nominated for two awards in one week. I hope this means my blog is visited by people and it encourages them to think and reflect on what the best things in life are; this is only the first step for pursuing ‘good life’. Ultimately I hope my blog will have some contribution to someone’s life to bring them happiness,patience and peace; allows them to love and be loved, to be compassionate, to live without fear and with ease. If this is so, I am ecstatic with joy. Thank You with all the possible sense of profound gratitude. I enjoy following your blogs. Congratulations.